In Country Girl at Heart, I mentioned that as a kid, I often went to work with my mom, who was a bartender. 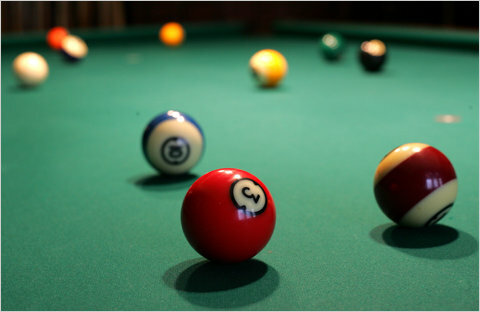 In every bar that my mom worked, there were two constants: a jukebox and pool table. I was fascinated by both. I started playing pool at a very young age. I could barely see over the top of the pool table, but that didn't stop me from playing. From my earliest memories of playing pool at the age of four up until I was ten years old, there wasn't a day that I didn't play pool. Just before my eleventh birthday, I went to live with my grandparents. But my pool playing days didn't end there. My grandparents had a membership to a campground in the mountains, where we spent every weekend camping. The campgrounds had swimming pools, a play ground, miniature golf and a clubhouse/lodge. My favorite of all was the clubhouse because there were two pool tables; one for the kiddies and another for the grown-ups. I got to play on both. When it came to playing pool, I was pretty good. False modesty aside, I was really good. I played both eight-ball and nine-ball. I could call my shots, if that's what my opponent wanted. I could shoot right-handed, left-handed and even behind my back. In High School, my best guy friend and I would go shoot a couple of games of pool after school at the nearby bowling alley. And my BFF (best friend forever) and I would play when I visited her at the community center where she worked. There wasn't anything I loved as much as playing pool. And then I grew up and got married. The only time I got to play pool was when Hubby and I would visit my grandparents in the mountains. One of my most memorable visits to the mountains was during my suegra's first trip to the U.S. My grandparents really wanted my suegra to see their mountain getaway and since Hubby was stuck working that day, my suegra and I went with my brother-in-law, who was living with us at the time. The five of us were chatting about how nice the weather was in the mile-high mountains, when my brother-in-law spotted the pool table. Immediately he asked if I wanted to play and I happily accepted. I've never been one to pretend I didn't know how to play, unless I was hustling someone, so I played to the best of my abilities for all four games. All the while, my grandfather was making the weirdest of faces. He looked like he was either going to sneeze or have a stroke. When I asked him about it, he just mumbled and said that he was fine. It wasn't until we were alone, sans mother-in-law and cuñado, that he told me I shouldn't have played so well. Then, just as we were about to leave, Pappy hit me with a tidbit of information that left me anonadada (shocked, stunned and speechless). WHAT?! Are you kidding me? It was 1995, hadn't they heard of the sexual revolution and equality of the sexes? I couldn't believe what I was hearing. My grandparents had raised me with their old-fashioned Mexican values, but not once did they ever say anything about playing pool. They enjoyed playing almost as much as I did. Now, if you're wondering if after 15 years, people still think this way, the answer is YES! Atleast in my pueblito. All over my small town, you can find little hole-in-the-wall pool halls. Every time I walk by a billar, I wish I could shoot a game of pool. But sadly, I can't. These establishments are where "unsavory" characters hang out to drink, smoke and play pool. No girls allowed. Especially "decent" women such as myself. Just to give you an idea of how bad of a reputation billares have, none of the men I know would be caught dead in one. Billares are nothing like the honky-tonk bars I grew up in, nor are they anything like the trendy nightclubs in town, which cater to a younger and hipper crowd and don't have pool tables. Sometimes I just can't believe that there isn't a place where I, a married mom of four, can go to shoot a game of pool here in town. And that people think of pool as something so taboo. Hi, I'm Leslie Harris! 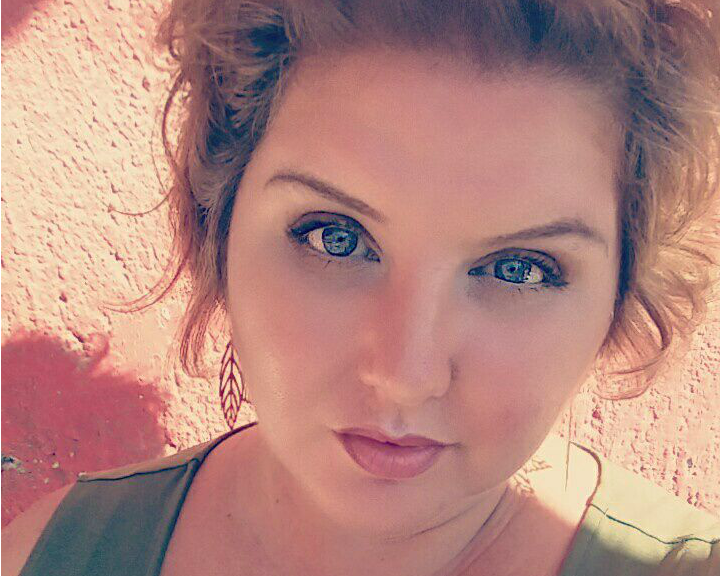 Writer, coffee addict, makeup junkie, plus size fashionista, lover of books, and one of the sweetest people you'll ever meet. La Casa de Leslie is my little corner of the blogosphere where I share my personal thoughts about life, the things I love, and the little things that make me happy, as well as bits and pieces of my life as an American expat living and raising a family of four in Small Town, Mexico. So, grab a cup of coffee, sit a spell, and remember that mi casa es su casa!